The streaming age of entertainment has been pretty fantastic for science fiction fans, as series both new and old have made their way to viewers through many online platforms in recent years. But one of the genre’s best efforts, Sci-Fi’s Battlestar Galactica, has been absent for a whileLong enough to get us all antsy. Have no fear, my Cylon-hating friends, as the modern classic is once again available for streaming, this time on Hulu. This new era of binge-watching Battlestar Galactica is happening thanks to a sizeable deal struck between Hulu and Universal Cable Productions through parent company NBCUniversal. The agreement gives the second-place streaming service the entirety of the space-faring show’s run, which includes the first two miniseries that led to the proper TV series getting ordered, as well as the four seasons that followed, adding up to 78 episodes of futuristic survival drama. As well, all 24 episodes from the original 1978 series are there for streaming. Depending on your tastes, you may want to get these out of the way immediately before diving into the more intense reimagining from Ronald D. Moore, or you may want to save them for last. Or you may just avoid them altogether. It’s a free universe. Oh, and they’re all on Hulu right now, so you don’t even have to wait for the ink on the contracts to dry. (And really, they’ve probably dried already, since modern pens are good about such things.) This is extremely good timing, as it was just yesterday when it was revealed that the big screen reboot took a step forward by snagging a powerful Hollywood producer. That film probably won’t happen for a while, so it’s good to have something to do in the meantime. The Hulu/NBCUniversal deal also set up the current Syfy drama 12 Monkeys with its first semi-permanent exclusive streaming home. 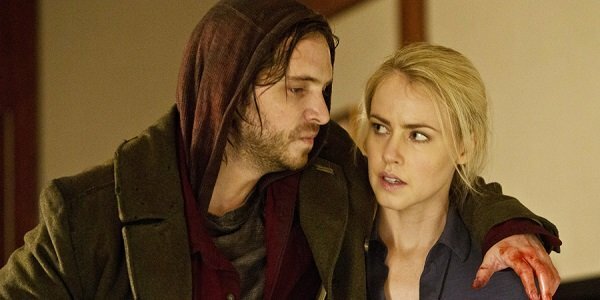 According to Variety, Season 1 of 12 Monkeys will hit Hulu in its entirety on Wednesday, February 24, slightly less than two months ahead of Season 2 premiering on Monday, April 18. There were a couple of other shows that entered into this agreement, with Saved by the Bell standing out as the most guilty pleasure of the bunch. The list is rounded out by the kids shows Bob the Builder, Thomas and Friends and Barney. Are you guys happy to be able to catch up with Commander Adama and Starbuck whenever you want?